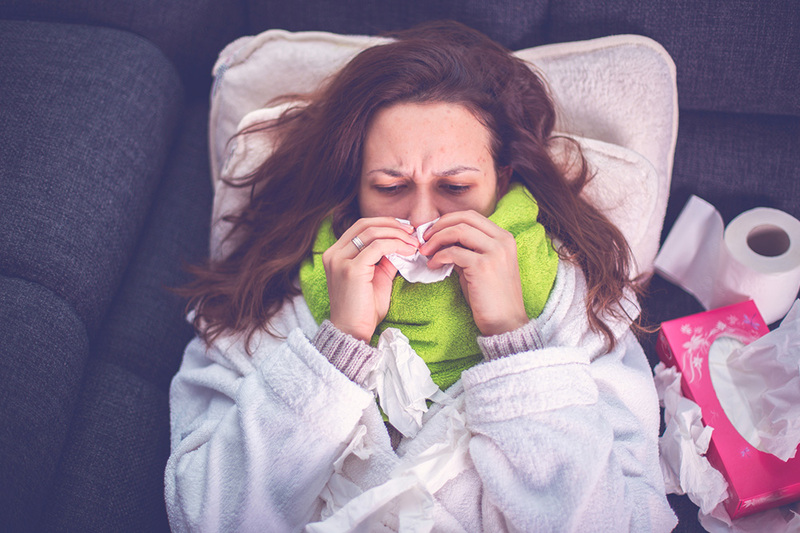 Many people think of pneumonia as a simple illness caused only by bacteria; however, there are actually three major types with different causes and treatments for each. Pneumonia is a common droplet-born lung infection that affects more than three million people in the United States annually. Anyone can get this illness, and symptoms generally include fever, coughing, chest pain and shortness of breath. This infection inflames the lung sacs in both of the lungs or just one. The lung sacs can fill with pus or fuid from the infection. Each case requires a diagnosis made by a physician through lab tests and radiographic imaging. Pneumonia is usually resolved in several days with medical intervention, but can last several weeks in more severe cases. Vaccinations are even available for some of the more common pneumonia causing organisms. Bacterial pneumonia is caused by different types of bacteria, with the most common being Streptococcus pneumoniae. This bacteria works its way into the lungs of people of all ages. It is more likely to occur when the immune system is weakened by other illnesses, poor nutrition or respiratory disease. Smokers and people who abuse alcohol have a greater risk of developing this type of pneumonia. Treatments include antibiotics prescribed by a physician and rest. In addition, medications to lower fever and reduce cough may be used to help the patient be more comfortable. Intravenous antibiotics might be required for more extensive cases or those experiencing shortness of breath. Viral pneumonia is caused by different viruses. A major cause of viral pneumonia is influenza, which is responsible for approximately one-third of all cases of pneumonia. In addition, adenoviruses, chickenpox and respiratory syncytial virus can cause this type. This is acquired by touching a contaminated object of an infected person. Persons who acquire this type of pneumonia are also very likely to develop bacterial pneumonia as well. Antibiotics are ineffective for this type of pneumonia, so anti-viral medications are used. Physicians may also use cough and fever relievers. Also, oxygen therapy and other breathing treatments such as humidifiers are helpful with this type. This is considered to be an atypical type of pneumonia caused by the Mycoplasma pneumoniae bacterium. It is responsible for causing pneumonia across all groups of people, especially those who are younger than forty years of age. This is an easily transferred disease, but is fairly mild. 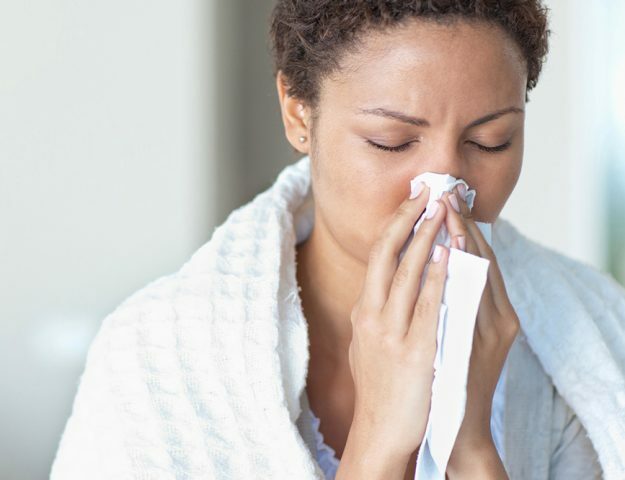 People who have this type of pneumonia often refer to it as “walking pneumonia” because it tends to be more mild and they can continue their daily activities. This type is transferred through respiratory secretions quite easily which leads to epidemics. This type is treated with antibiotics as well. In addition, steroids may be prescribed to help reduce inflammation in the lungs. Patients who suffer with severe mycoplasma pneumonia can be given immunotherapy along with antibiotics and steroids. Pneumonia treatments work best when the illness is caught early. Also, patients should comply with doctor’s instructions completely by resting and finishing all prescribed antibiotics. Pneumonia can become serious, especially if untreated. It can worsen and cause complications such as pleural effusion, empyema and sepsis. In addition, people with weakened immune systems or chronic conditions such as underlying lung disease have a higher risk for developing problems with pneumonia. The Prevnar-13 Vaccination is available for people over eighteen and is recommended especially for those over the age of 65 by the Centers for Disease Control. Luckily, there are quite a few medications that physicians can use to treat the three major types of pneumonia to get patients feeling better in no time.